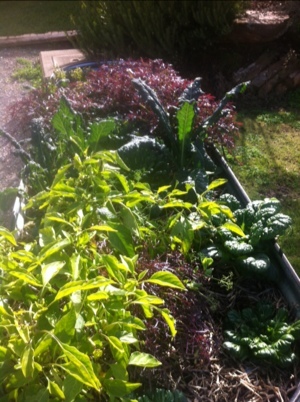 In April I planted some winter greens that are new to me in terms of growing: kale, tatsoi, and mizuna. I was unsure of how they would go, and so I’m very excited by their bumper growth. 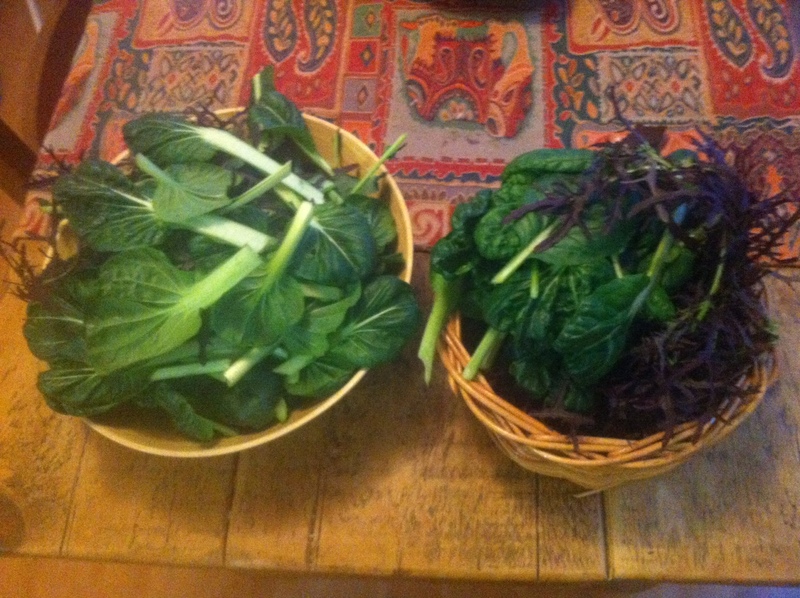 I haven’t even harvested any to cook with yet, but will be from now on.